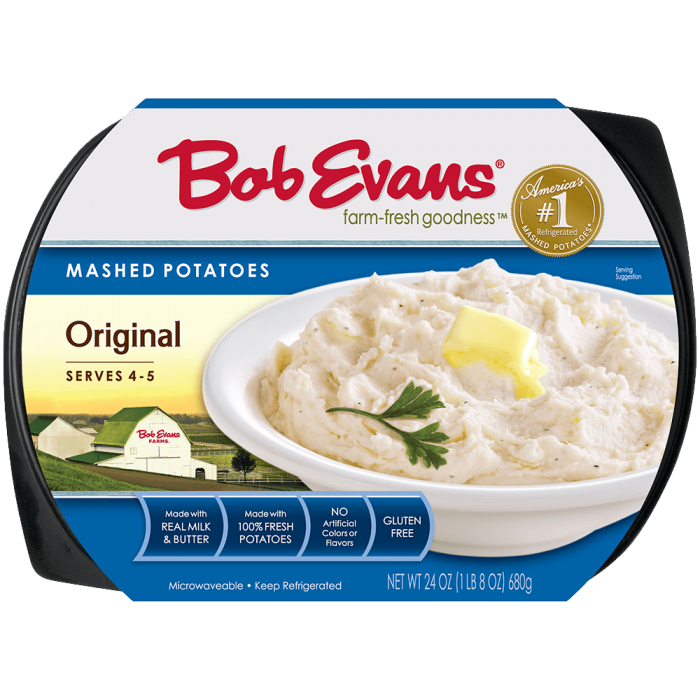 Made with our Original Mashed Potatoes, diced turkey, and stuffing, this is a treat you’ll gobble up in no time. Coat an 8 x 8-inch baking dish with cooking spray. In large bowl, mix together stuffing, chicken broth, turkey gravy, and chopped parsley. Layer each ingredient on top of each other in the casserole dish in the following order: stuffing mixture, roasted turkey, corn. Smooth out the top. Top with prepared mashed potatoes, making sure to cover turkey mixture completely. Bake until mixture is bubbling and top of potatoes is lightly browned, 30 to 35 minutes. Let rest for 5 minutes before serving. 2 Coat an 8 x 8-inch baking dish with cooking spray. 3 In large bowl, mix together stuffing, chicken broth, turkey gravy, and chopped parsley. 4 Layer each ingredient on top of each other in the casserole dish in the following order: stuffing mixture, roasted turkey, corn. Smooth out the top. 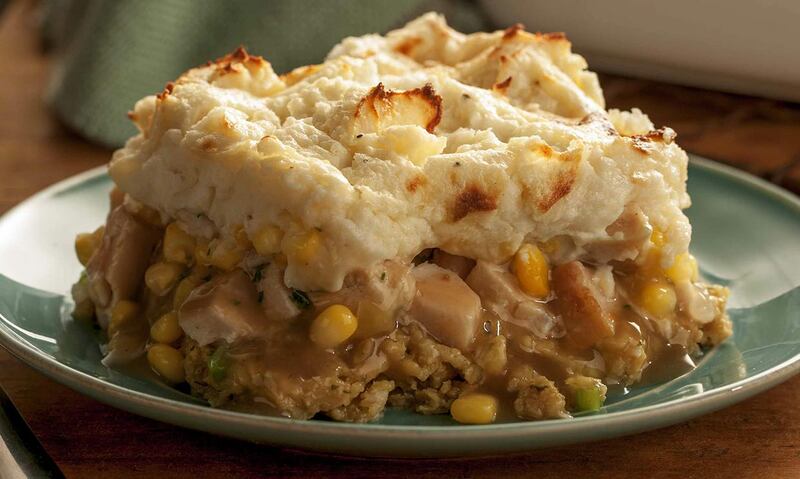 5 Top with prepared mashed potatoes, making sure to cover turkey mixture completely. 6 Bake until mixture is bubbling and top of potatoes is lightly browned, 30 to 35 minutes. Let rest for 5 minutes before serving.